Traditionnal and quality cooking. 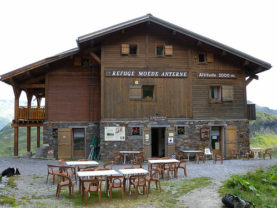 Situated in Sallanches, the "Refuge de Mayères", nearby the Aravis chain, has a unique sight on the Mont-Blanc chain, with one the the last landing zone of Haute-Savoie. 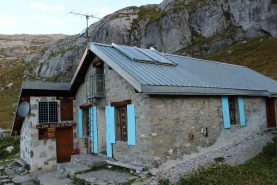 This comfortable retreat in situated at the heart of the Nature Reserve in Passy, near the lakes of Pormenaz and Anterne. 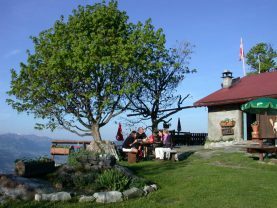 The refuge offers panoramic view over the Fiz and Mont Blanc mountain ranges. Marmots are often sighted here. 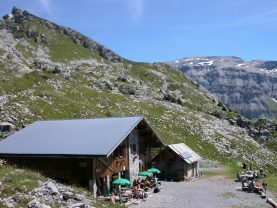 This mountain refuge hut is situated in the classified site "Désert de Platé". Library and board games on site. Out of season a permanent shelter is available for 5 people (no heating, no kitchen, no bedding and no guardian). 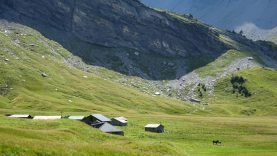 This refuge is situated in a protected valley at the heart of the nature reserve of Sixt Fer A Cheval. Family hikes to appreciate the numerous waterfalls, ibex, chamois and marmots. 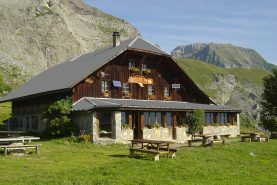 Under the majestic Aiguille de Varan, this refuge overlooks the Arve valley. It faces a stupendous panorama: the Mont Blanc and the Aravis mountains. Easily accessible, it is open for gourmet breaks and cozy nights. 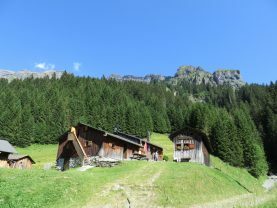 Mountain hut situated at the entrance to the wild "Cirque des Fonts" accessible to all. This alpine pasture proves to be a real marvel nestled in lush greenery. 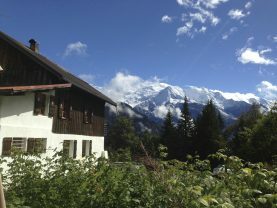 This Savoyard auberge boasts a renowned cuisine, several wood-clad bedrooms and a beautiful setting overlooking Mont-Blanc. Enjoy 360° panoramic views of Mont Buet, the valley of Anterne and the majestic Fiz mountain range with Mont Blanc in the background. The villages of Samoëns and Sixt and the Giffre Valley can be seen below. 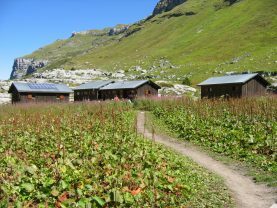 The Gers mountain hut welcomes you into a magnificent setting bursting with wonderful flora and fauna. 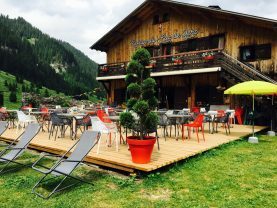 The gite also offers traditional and authentic savoyard cooking on the lakeside.